Sometimes destiny is just around the corner… A simple meeting revealing a proper vocation. A passion that grows and is slowly refined thus shaping the fate of a person… and also of a charming historical building. A family, strengthening its bonds through the shared passion for hospitality and genuine, though refined cooking. 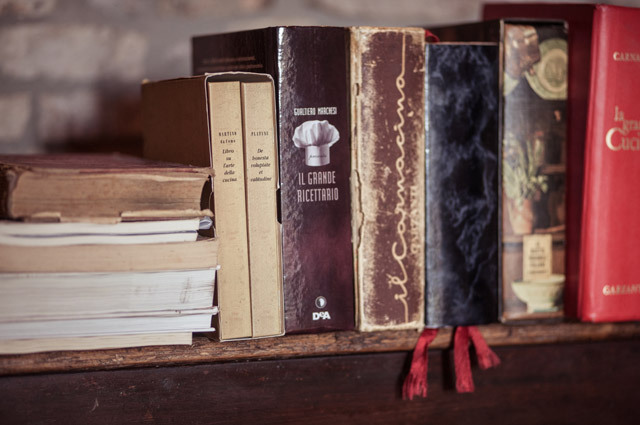 The art of cooking as an authentic expression of an area, with a long history and an experience worth sharing and that persists by constantly reviving itself. 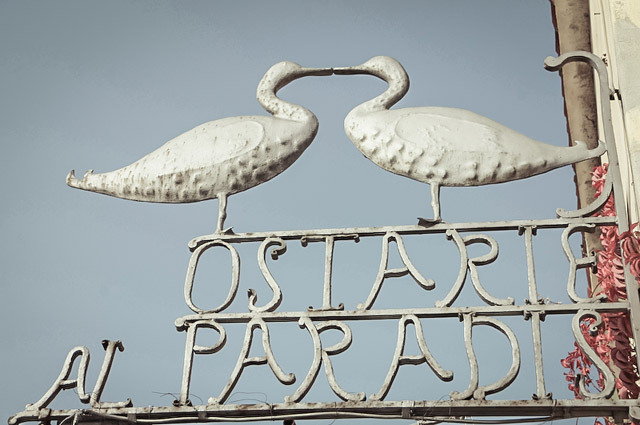 Borgo Paradiso (“the Paradise borough”) came into being the 17th century, thanks to the noble Family Caratti, who saw to its development: because of the beauty and richness of the area, the noble family also decided to settle in the area. It is on these very premises that a land tenure was first established, in support of which a building (the current trattoria) was grounded. In the course of the years the noble Villa Caratti-Fraccaroli, with its marvelous park and botanic garden was erected on the same grounds of the estate. Starting from the beginning of the 1960s, the original rustic construction located near Villa Caratti-Fraccaroli became the site of the tavern “Ostarie al Paradis”. It is here that a very young waitress, Miss Anna Maria Mauro, began her hospitality career. She would also be the one who, later on in 1972 took over in the tavern management with her husband Aurelio Cengarle: that’s how the current Trattoria “Al Paradiso” comes into being. Afterward, their daughter Federica, having concluded her university studies, decided to support her parents in the loving and caring management of the venue with great passion and affection. 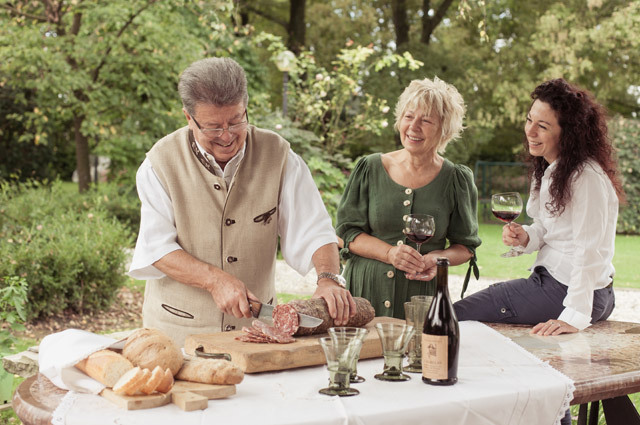 The philosophy of Mrs. Anna Maria has always been very clear and simple: every ingredient is the genuine expression of Friuli and of the “risorgive” springs. Through her impulse to discover in depth the ancient secrets of the Friulan art of cooking, the lady will have the opportunity of meeting two Masters: “siore Rosalie”, famous cook of the ancient Friulan nobility who had learned her skills from the French chef serving the Tsar; and Gianni Cosetti, the great paron of the “Roma” Restaurant in Tolmezzo, worldwide renowned because of the ability of imaginatively enhancing tastes and flavors of the authentic gastronomic culture of Carnia and Friuli. Rediscovering and promoting the lands of Paradiso and of the “risorgive” springs area: with this purpose in mind Mr. Aurelio dedicates himself to the caring selection of ingredients and to the art of grilling, while Mrs. Anna Maria runs the kitchen with the support of chef Andrea Trivellato. In charge of the dining room and wine cellar is their daughter Federica, skilled interpreter of the family vocation, the restaurant tradition and the enchanting beauty of a splendid region. 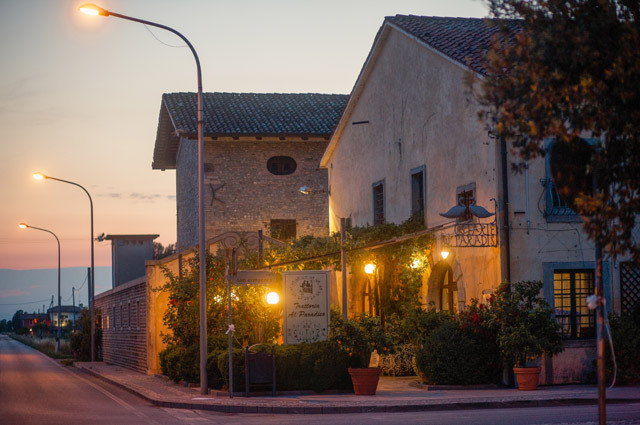 In 1994, family Cengarle launches the ambitious restoration work of the precious 17th century building of the trattoria. The work is entrusted to the competent and passionate architect from Belluno Giovanni Pante. The result is suggestive and quite clear: well-structured, functional spaces, safeguarding their deep charm while respecting the traditional rural architectonical culture of Friuli. The tavern “coat of arms”, proudly unaltered over time, is the stylized picture of two mallards joined through their beaks.